(Joshua Paladino, Liberty Headlines) A House Oversight Committee hearing discussed the impact of the unprecedented rate at which President Barack Obama passed regulations and President Donald Trump has begun to repeal them. Amit Narang, regulatory policy advocate at the liberal Public Citizen, said Trump’s stance against greater regulation threatens public safety. Regulatory growth has slowed under Trump, but the hearing, titled, “Shining Light on the Federal Regulatory Process,” showed that another problem has remained: Regulatory agencies have not followed the Congressional Review Act or the policies prescribed by the Office of Management and Budget. 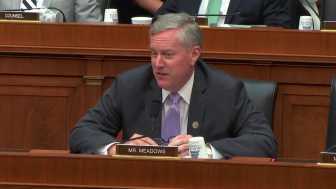 The hearing focused on the inability or unwillingness of regulatory agencies to comply with rules about “guidance” — the process that they use to show Congress how they will implement new regulations. As regulatory agencies gained more power to create rules and regulations without the oversight of Congress, President Ronald Reagan signed Executive Order 12291, which required that the OMB review new regulations. Reagan’s executive order “was quite broad in scope and applied to virtually all “rules” — including both regulations (legally binding legislative rules) and agency guidance (non-binding interpretive rules and policy statements),” said Paul R. Noe, vice president of public policy at the American Forest & Paper Association. Years later, President Bill Clinton signed Executive Order 12866, which decreased the scope of regulatory review to rules with a “significant” economic impact. As regulatory oversight faded, so did the guidance of regulatory agencies, according to Noe. The problem became one of more than sheer number. The federal government passed a lot of regulations, but more importantly they stopped telling people how to comply with them. Clinton’s executive order stopped the OMB from reviewing guidance documents, since they didn’t have significant impact, so regulatory agencies stopped issuing them and submitting them to Congress. The report that arose from the hearing came with three key findings. First, regulatory agencies themselves don’t have a full account of their guidance documents. When the House Oversight Committee requested guidance documents from the last 10 years for 46 federal agencies, they received more than 13,000 documents. Some of the agencies didn’t comply with the committee’s request, or they simply didn’t have any guidance documents to provide. Second, regulatory agencies don’t know the legal definition of guidance, so they didn’t know what documents to provide. Third, regulatory agencies have not submitted the guidance documents to Congress that the Congressional Review Act required them to. the CRA,” the report found. The report provided solutions for regulatory agencies. They need to submit guidance documents that the law requires them to. “When there is a lack of clarity about whether a guidance document should be submitted to Congress and GAO under the CRA, agencies should seek guidance from GAO and Congress,” the report said. The non-issuance of regulatory guidelines becomes increasingly poor during the end of presidential terms. Lame duck presidents, especially Clinton, Bush, and Obama, passed two to three times as many regulations during the last few months of their terms than any other part of their tenure. These lame-duck regulations are rarely submitted to Congress for oversight.